You know what you should do this weekend? Throw a little holiday party for you and your friends. Nothing serious, just a fun, spur of the moment ugly sweater party! Why not? They are easy to get (or make) and don’t need a lot of prepping and planning. Have lots of holiday music on hand. Preferably livelier, upbeat songs. Have refreshments on hand. They don’t necessarily have to be filled with alcohol, but it can’t hurt. People will likely feel a little uncomfortable knowingly wearing a ridiculous sweater out, so help get them feeling a little more relaxed! Have back up ridiculous Christmas hats or vests on hand for those who don’t come as prepared as others…there is always one! Remember the ridiculous looks of the night by having an equally ridiculous photo booth area. Let people know you are having a little contest for the most outrageously tacky sweater. A small prize will do. Caution: this will almost certainly encourage some of your friends to get their game faces on and go all out with their party looks. You’ve been warned. Would you make your own ugly sweater or buy it? 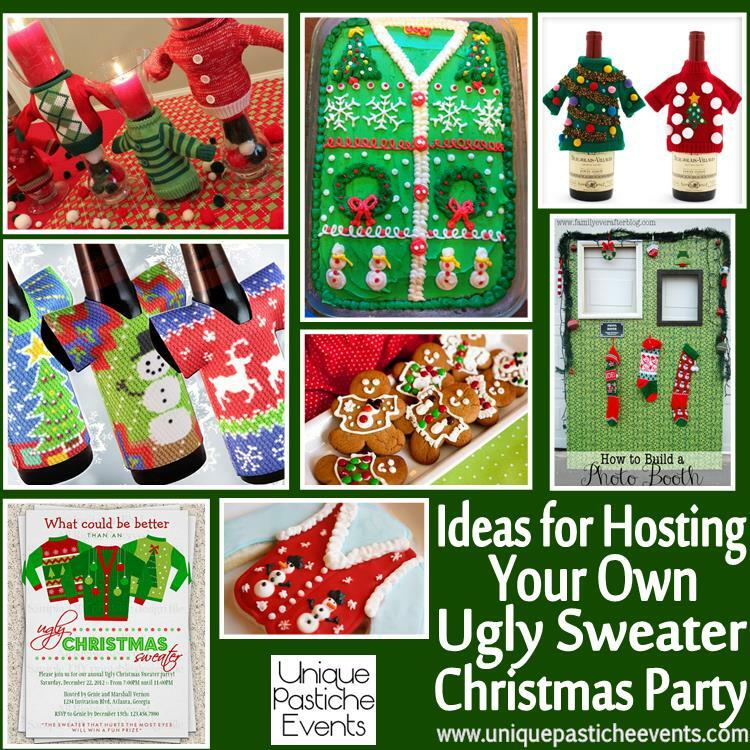 Great ugly sweater party ideas! Just what I needed. Thanks!